So you've finally found the love of your life and you want to ask her to marry you. Looking for creative ideas and inspiration? Look no further. First think of her. Some women prefer public proposals and statements. It gives them a strong feeling of belonging to you. Others prefer a discreet intimate private proposal. Consider her favorite songs. The places she loves to go. The books she loves to read. The movies she frequents. The character she adores. The things she loves to do. This is a list of actual engagement ideas from actual event by friends and family. The best thing about this list is it does not require a lot of help. At the right place at the right time, you can pretty much do it all yourself. 1. After weekend lunch on a sunny day he proposed at a water fountain. When she accepted, they jumped in. 2. On a snow winter night he proposed at a theater watching her favorite romance movie. They played in the snow on the way to the car. 3. On a starry night in early spring he proposed at an art gallery before a work of art she fell in love with. 4. He proposed at her favorite restaurant. He had the waiter drop the ring in her wine glass and asked her to remove it before pouring. 6. At a Spring Fair on a craft table was her favorite quilt. After opening it up and revealing engagement rings, he proposed. 7. After a fun day on a sandy beach by the ocean while the sunset he promised may more days like these. He then proposed. 8. After getting completely soaked under a tropical water fall he opens his hand and reveals the ring. 9. He sang and danced "Singing in the Rain" style. Then opening an umbrella that read "Will You Marry Me?" he proposes. 10. He proposed in an airplane flying over her hometown. As she looked out the window he says "You are my home. Will you marry me?" 11. He proposed in a limo after a Broadway show. Quoting the words of a beloved character she he opens up the ring box and proposes. 12. He proposed in a park on a bench while violin, guitar and flute were playing a request. Singing the song being played he rests on one knee. Opens the box and asks for her hand. 13. Laying on the grass under the stars during the performance of her favorite song at a outdoor concert he proposes. 14. While dancing to her favorite song he proposed in the middle of the dance floor. 15. He asks for her hand while strolling in the park. With one hand he holds hers. With the other he shows an open box. 17. He asked after a very good candle light dinner on an apartment roof top overlooking the city. 18. After a cruise dinner they walk to the bow of the ship and he asks "will you marry me" under a full moon. 19. After watching her favorite dinner theater play, the acting group sang a song at their table while he asked her. 20. A mime showed him how to ask her silently and he copied him superbly. 21. He proposed on horse back. When she said yes he lifted her up on the saddle and the two rode off into the sunset together. He used a stepping stool and the horse was led by a professional trainer. 22. He proposed to her while they were riding horse and carriage. 23. At a family reunion after telling a touching story about a couples loyal love and enduring marriage he proposed. 24. After they successfully completed a community outreach project he proposed. In all these actual events she said "Yes!" What helped? Taking the time to get to know her. Making the most of the things that mean the most to her. Some forethought and preparation. Good timing. Thinking ahead. Above all show her that you're putting her welfare ahead of your own. "Let each one keep seeking, not his own advantage, but that of the other person"
Wether you propose in private or in public, make it something special that says, I know you and I love you. Will you be my wife? 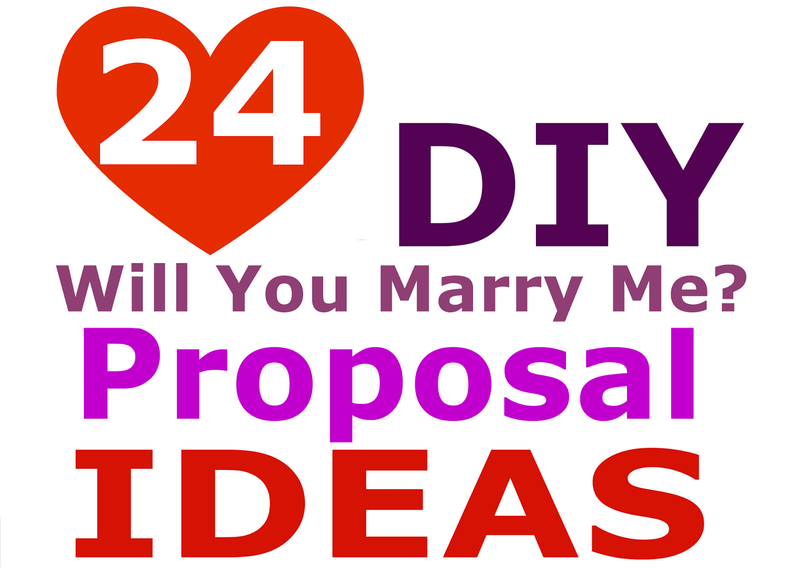 Labels: how to ask her to marry me, how to propose marriage, list of marriage proposal ideas, love, marriage, marriage proposals, married life, real love, romance, will you marry me?